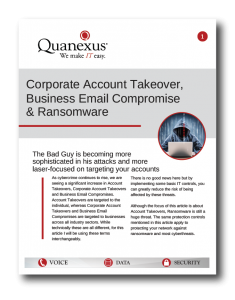 Download our exclusive, ten page white paper on corporate account takeovers, business email compromise and ransomware. 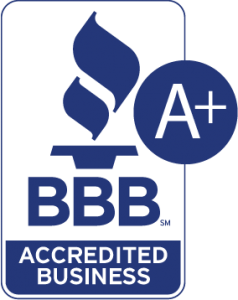 Learn how the bad guy is being successful and becoming sophisticated enough to take over corporate accounts of businesses both large and small. The number of malware victims that are small to medium sized businesses is 58%. 54% say negligent employees were the root cause of the incident. 14% of small to medium sized businesses believe they are well prepared for an incident. Within the white paper you will find out how exactly criminals are gaining access, valuable stories of real-life incidents, and insights into how to better protect yourself and your network. Complete and submit the short form below to receive your copy of Quanexus’ white paper. Once you click submit an email will be sent to the address supplied.